When a person is diagnosed with Motor Neurone Disease (MND), it’s a race against time. Symptoms are severe – muscle weakness, cramps, slurred speech, weak grip, fatigue, pain, insomnia, behaviour changes and a constant dry mouth. Many sufferers do not survive more than five years because the progressive destruction of their brain’s neurons that control muscles means lung failure is inevitable. The lack of an effective treatment haunts sufferers, but now, after 10 years of work by researchers at the University of Melbourne, Bio21 Molecular Science and Biotechnology Institute and the Florey Institute of Neuroscience and Mental Health, a human trial for a drug that could fight this devastating disease has begun. This high-stakes research to create a treatment for such an unforgiving disease is thanks to a collaboration between three scientists, Associate Professors Kevin Barnham, Anthony White and Paul Donnelly, who have been the driving force behind this discovery. Cu(-ATSM), the drug to treat MND, entered phase I clinical trials at Macquarie University in November. But before it could reach human trials, there was years of hard work, Associate Professor Barnham says. “The initial focus of our work was on Alzheimer’s disease where it was thought that copper drove the formation of amyloid plaques. We reasoned if you could just remove this copper you could eliminate plaques, and you’d have the solution,” says Associate Professor Barnham. And so research focused on reducing plaques. What was needed was a way of delivering copper back into the brain cells. Serendipitously, this is when Associate Professor Barnham was introduced to Associate Professor Donnelly, who was already working on such molecules. “I had made 35 different copper compounds, which I gave to Kevin and Tony to test,” Associate Professor Donnelly says. For Alzheimer’s disease, the compound was Cu(-GTSM). As it is stable in biological systems, and cell permeable, it can cross the blood-brain barrier and then release copper. 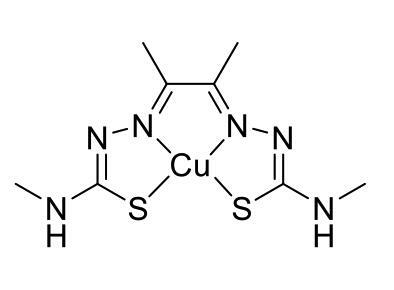 “This gave us the perfect way to test the effect of copper, because we had a perfect control in a related compound, Cu(-ATSM) that, under normal conditions, does not deliver copper,” Associate Professor Barnham says. Equipped with the two compounds Cu(-GTSM) and Cu(-ATSM), the team began conducting their experiments. MND, also known as ALS in the United States, affects about 2000 Australians, including former Melbourne Football Club coach Neale Daniher, who has been public with his diagnosis and battle. Approximately two MND sufferers die every day. Across the world in 2014, the hugely successful ‘ice bucket challenge’ raised much-needed awareness and money for research. Following the copper lead, the team tried Cu(-ATSM) in models of both MND and Parkinson’s disease and it worked brilliantly in both models. “The compound has neuroprotective properties, which is useful when targeting neurodegenerative diseases; but there are other properties about this compound that we need to learn more about,” Associate Professor Barnham says. Many others played major roles in the project, including Dr Peter Crouch from the School of Biomedical Sciences, who is the driving force behind much of the University of Melbourne’s recent work in MND. The seeds of this remarkable collaboration between this group of chemists, neuroscientists and clinicians were sown in 2004, when Associate Professor Donnelly was finishing his postdoc at Oxford University and figuring out his next move. After reading about the work of Melbourne chemist Tony Wedd on metal biology, and Kevin Barnham and Frances Separovic’s work on brain plaques and copper in Alzheimer’s Disease, he decided: “I need to go to Melbourne to work on metallobiology”. That same year Associate Professors Barnham and White were discussing their scientific frustrations at a lack of progress in Alzheimer’s disease. “This is when Tony Wedd introduced me to Paul,” recalls Associate Professor Barnham. “Within six months of arriving in Melbourne, Kevin briefed me on his work and MND, and I introduced him to a family of compounds and we haven’t looked back since,” says Associate Professor Donnelly. After confirming that their potential treatment for MND and Parkinson’s Disease achieved spectacular success in preclinical MND models, the group set up a company and went into business with haematologist-oncologist Craig Rosenfeld, whose company, Collaborative Medicinal Development Pty Ltd, licenced the drug’s intellectual property and has made significant investments to test safety, toxicity and to develop good manufacturing processes for the production of the drug. “You need a believer and Craig Rosenfeld got the science – he reads all our papers,” says Associate Professor Donnelly. Both patients and researchers are hopeful. However, the issue of funding remains a sticking point for essential future research. 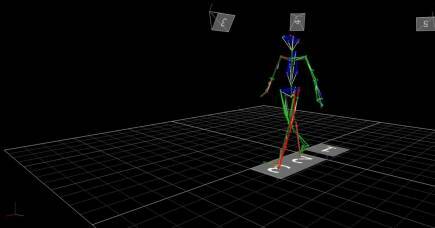 An ingenious rehabilitation facility merges cutting-edge technology with medicine to speed up recovery for amputees and stroke victims.